Barring some unforeseen breakthrough, it appears the App Store will continue to suffer from boring and ill-conceived video games based on Slender: The Eight Pages, the hit PC survival horror game. Developers have tried in vain to recreate the creepy and borderline terrifying sense of isolation that factors so heavily into the experience, only to fail miserably. The latest attempt, Slenderman: Unknown Chronicles, is not only bad, but also pointless. At least on the positive side, (quite frankly, the only good thing to say about this title), it's free. 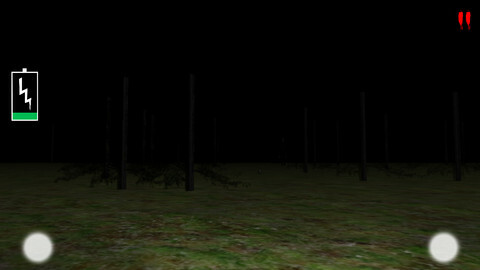 In the original effort, players wander through a spooky forest in search of mysterious pages while doing their best to avoid Slender-Man (also known as Slenderman), a freakishly tall suit-wearing whacko. Unknown Chronicles breaks away from this for the most part, and is all the worse for it. Here, the goal is to track down batteries to power a flashlight, then make your way to a bunker to view the time it took to locate all the goodies. The forest is present and accounted for, but it's disappointingly small, thanks to a chain-link fence that prohibits the player from wandering too far away. Not only that, but Slenderman poses no threat whatsoever. The guy appears out of nowhere and stands perfectly still while you go about your business. You can literally walk right past the guy and he makes no convincing move to attack or impede progress in any way. As a result, he's mere window dressing, more stop sign than bogeyman. As for the batteries, sure, they power the flashlight, but there's very little to look at, just a sparse number of terribly designed trees that appear to have branches all the way on the bottom and nothing on top or in between. 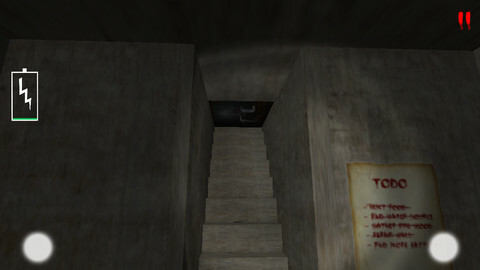 Even the aforementioned bunker, where you begin the game, is mostly devoid of detail. Throw in some of the worst dual-stick controls we've seen in a mobile game, and Slenderman: Unknown Chronicles joins a growing list of poor iOS horror games. The developer lists new game modes and improved graphics set to arrive in future updates, but there's a great chance we'll have deleted this title long before those fixes arrive. What's Hot: Free, you can delete it. What's Not: Sluggish and at times unresponsive controls, non-threatening Slenderman, small and sectioned off forest, terrible graphics, silly objective with no threat of losing.